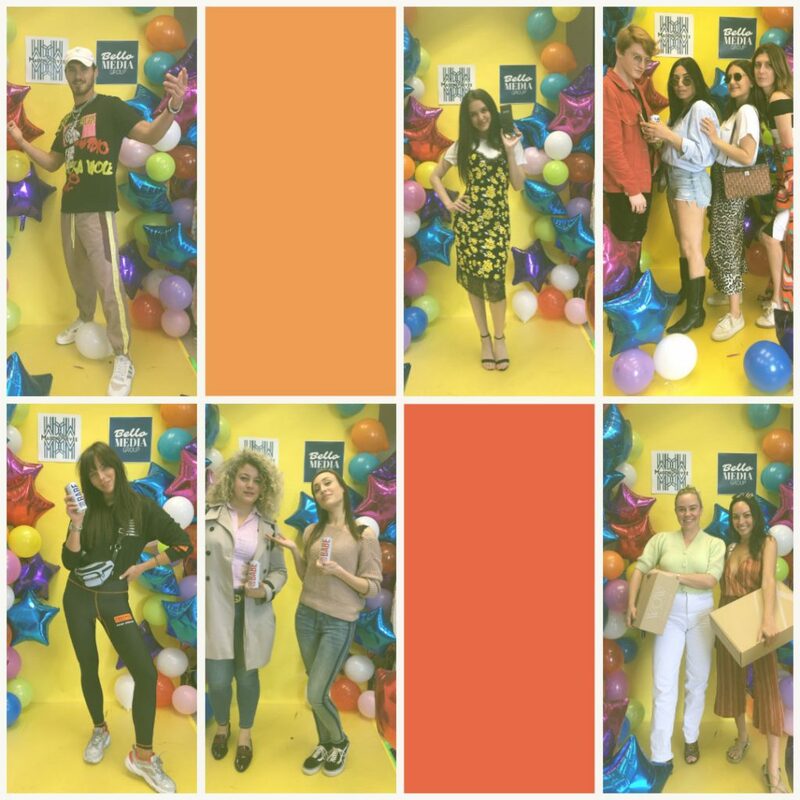 With festival season upon us, and all the buzz and excitement that comes with it, Maison Privée and Bello Media Group put together a Festival Styling and Gifting Lounge this past Friday, April 5. In addition to getting a first look at new collections, our talented attendees enjoyed kicking off festival season with an abundance of snacks and treats while also receiving some goodies, courtesy of our gracious sponsors, to add to their festival repertoire. Ross Butler – 13 Reasons Why, Riverdale – Netflix / Colton Underwood – The Bachelor ABC 2019 / Cody Christian – All Americans, Teen Wolf / Michael Yerger – Survivor CBS, LA Models, Ford Models / Charlie Albo – Fashion & Travel Influencer / Mario Selman – Influencer / Christa B. Allen – Actress Revenge, Aerialist / Bernardina – Owner The LA / Fashion Mag / Lilimar – Night Squad – Nickelodeon / Ariane Andrew – WWE, Total Divas E! 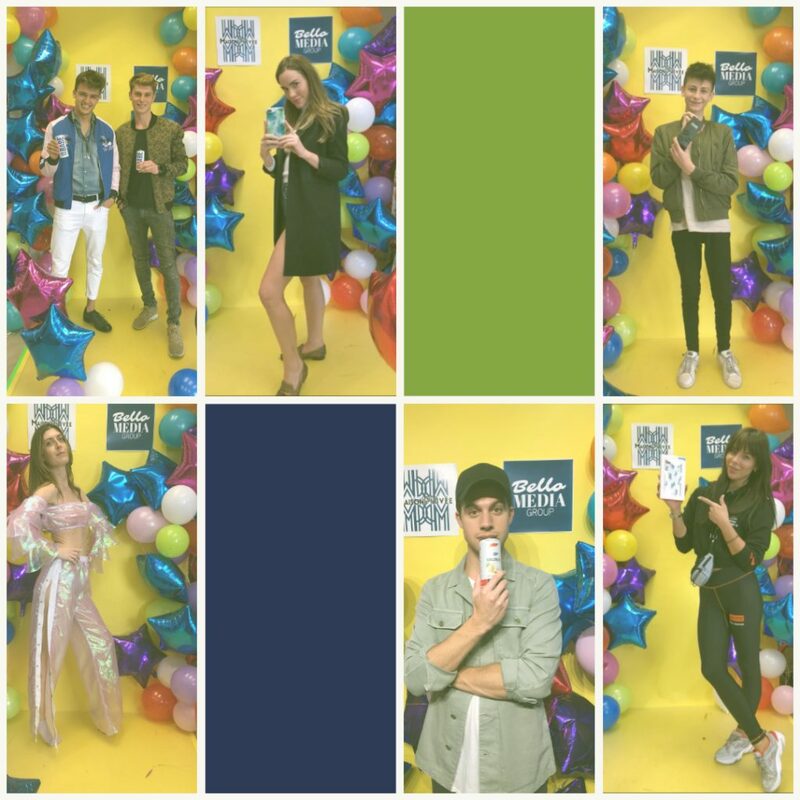 / Matthew Taylor – Beauty Influencer / Lacey Claire Rogers – Model, America’s Next Top Model / Serena Laurel – Singer / Andrew Matarazzo – Teen Wolf / Tracy Shapoff – Bachelor ABC – Kinya Claiborne – Style&Society / Contestant / Lila Taleb – French Influencer / Elliott – French Influencer / Johanna Lifschutz from J.Link – French Blogger Agency / Yasmine Kateb – Influencer & Celebrity Photographer / Alex Swift – Actress & Influencer / Julia Comil – French Blogger / Liliana Nova – Fashion Influencer and Model / Savannah Kennick – Arrested Development / Federica Volpe – Contributor at Grazia IT / Morgane Enselme – Influencer / Phil Sroda – Model – Independent Model Management / Niclas Gonzales – Model – Modelwerk Agency / Nicole Walmsley – Beauty Editor & Celebrity Makeup Artist / DaMarko GianCarlo – Creative Director & Wardrobe Director – Mood Magazine, Fairfax Copenhagen / Pierre Giovanni – Creative Director & Wardrobe Director – Mood Magazine, Fairfax Copenhagen / Alex Thao – Celebrity Hair Stylist / Fashion and Celebrity Stylists – Erica Mer, Marni Seabright, Lisa Cameron, Philippe Uter, Ryann Redman, Alexandra Cuttaia. We would also like to take the time to thank our exceptional sponsors: BABE, Celsius, Stare Cosmetics, Casery, and Vegamour. 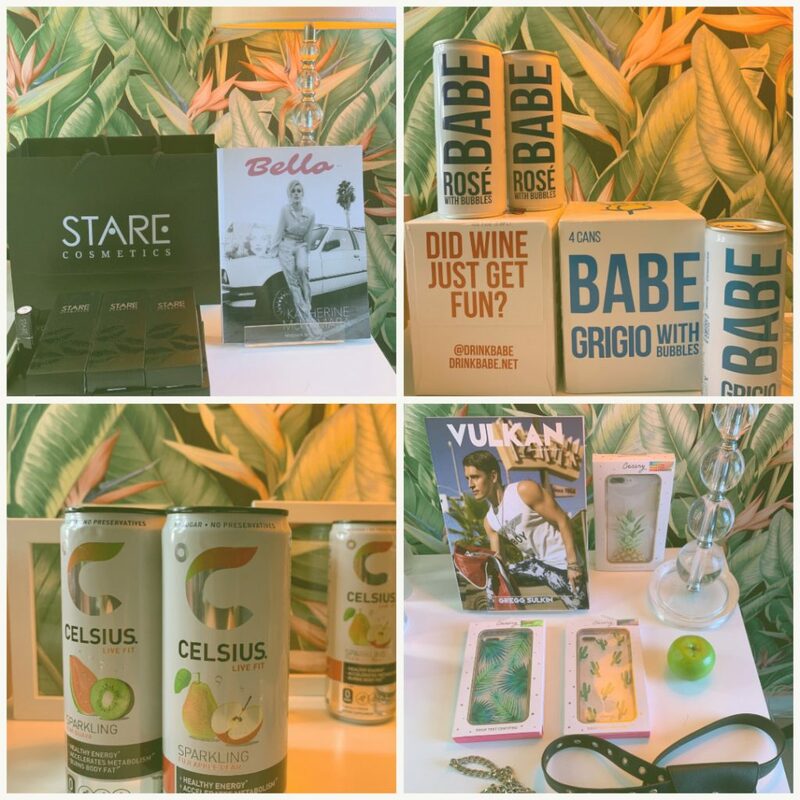 BABE (@drinkbabe) supplied the event with their range of delicious, bubbly wines (Grigio, Rosé & Red), served in cans for ultimate convenience. CELSIUS (@celsiusoffical) Fitness Drinks that provide healthy energy, we loved the Sparkling Fuji Apple Pear & Kiwi Guava drinks as they are a tasty refresher and, while we loved both flavors, they offer seven more delectable flavors to be tried! 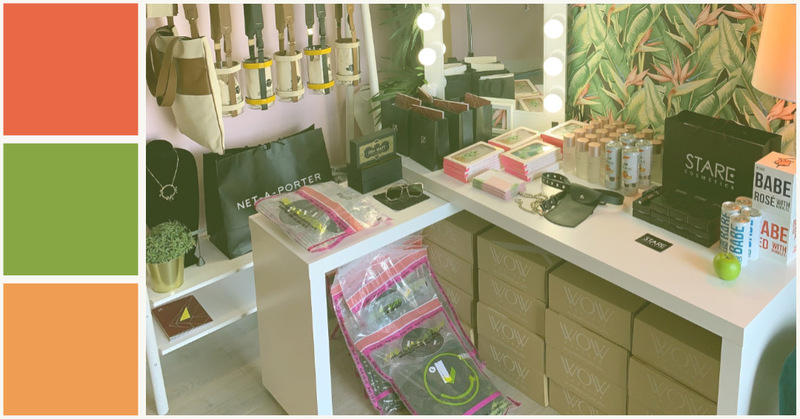 STARE Cosmetics (@starecosmetics) offers a wide array of beauty products and body care items with everything from makeup bags and brushes to cheek palettes, lipsticks, and mascara fit for the men and women who appreciate a one-stop shop for all their beauty needs! We were also fortunate enough to have Casery (@thecasery) as a sponsor. Casery offers modern, unisex iPhone cases (and other iPhone accessories) that are more like works of art. Last, but certainly not least, VEGAMOUR (@vegamour), a plant-based beauty brand with certified vegan ingredients, gifted us with their unique VegaBrow and VegaLash products. This event was the perfect way to come together with such amazing friends and talent to unwind before the rush of festival season. NEXT Making the World Fall in Luv: BTS and Halsey Collaborate on "Boy With Luv"